I understand that people who do not attend regular exercise classes, line dance classes even water activity classes don't understand the completion for these classes. Just like non-golfers don't know the frustration many villagers feel when trying to score Tee Time. After living in the Villages for seven years, I understand that winters are more crowded in Florida. I expect and plan for recreation center activities to be more crowded as well as popular golf tee times to be harder to schedule. However, there are many popular activities which are very crowded all months of the year with the exception of June, July and August and not just due to the winter crowd. The recreation centers do have many open time slots for additional classes. If you visit centers and look at the schedules posted outside of each activity room, you will see all of the open time slots. I can only guess there are not enough volunteers to keep these rooms full. I am hoping the new centers being built in the Fenny area will offer new activities due to new residents willing to volunteer. Location is not a problem for me if I want to participate in a group activity. I don't know what the answer is to address the over crowding of activities which has noticeably increased in the recent years. When I tell my friends and family who want to move here how things are changing, their reaction is - Wait . . . what! I need to stand in line for 45+ minutes to get a spot in a recreation class or arrive 45 minutes early. Sometimes I only need to place a water bottle on the floor so I have a spot saved to work out, then i sit in the lobby for 45 minutes. In Jan, Feb and March I might get shut out. If you don't think that is disappointing, get up early, drive 10 minutes, arrive 35 minutes before the class to get a ticket for a class and be told, sorry no more tickets available. Yes the other months are busy but you only need to arrive 20-30 minutes early and sometime you can arrive 5-10 minutes before a class and squeeze yourself in. I am very appreciative of our wonderful volunteers for everything they do to make The Villages the best retirement town in the USA. My concern is The Villages is sold to people with a truck load of activities . . . but that truck is now full. 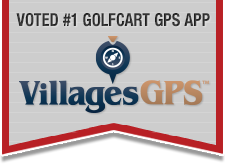 The villages has always seemed to know what is needed to help correct a problem. I hope they know, that this has now become a problem that we villagers need real help to solve. Our golf Tee Time system helps keep access to tee times fair. We need a better system to obtain access to all the wonderful recreation building activities the Villages highlights as available to residents only. I don't see that it is worse than eleven years ago when we first moved to Hadley. We had to go an hour early to Odell to get into the Exercise class there starting January first.